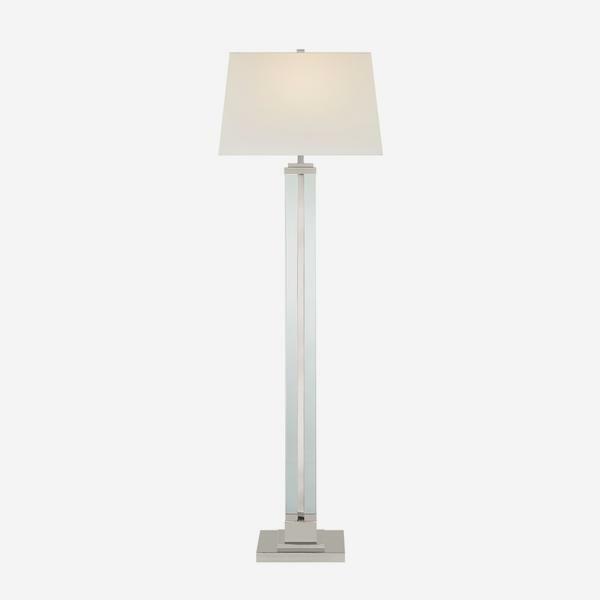 A sophisticated floor lamp with a polished nickel base surrounded by a clear glass stem and topped with a natural shade. 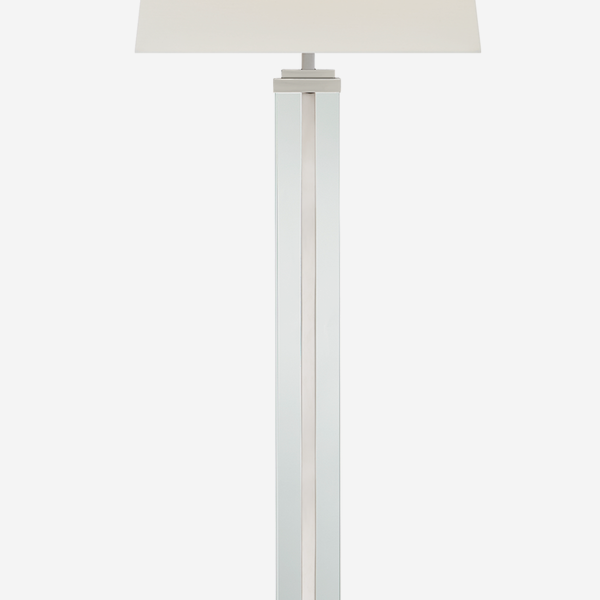 Boxy and clean cut, Wright adds a smart, contemporary finish to a room. Also available as a table lamp.